With combined experience of over 15 years and extensive knowledge of every Dell laptop and notebook model, our expert component level laptop repair engineers and trained technicians use state of the art diagnostic as well as repair tools such as BGA rework stations, BGA reflow machines and soldering devices to carry out a comprehensive range of London Dell ATI graphics repair and GPU (graphics processing unit) replacement services for Dell Inspiron, Dell Precision, Dell Latitude, Dell XPS and Dell Studio models as needed by your system’s video issues. Do you think that your Dell laptop computer’s graphics problems are severe and can never be fixed? Don’t worry; we can have your laptop’s video card or GPU (graphics processing unit) replaced with a brand new graphics processor. However, we suggest this option only in circumstances when our specialist services like Ball Grid Array (BGA) reballing and reflow do not work. We offer 90 day back to base warranty on BGA reballing and reflow services. 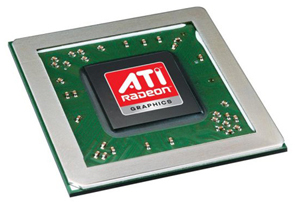 Other than this, we also offer component level repair and motherboard replacement, as part of quick turnaround Dell ATI graphics repair and replacement services. 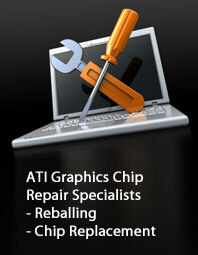 Contact us on 020 7064 4999 or email us at info@atigraphiccardrepair.com for efficient mail-in or walk-in Dell ATI graphics repair and replacement solutions nationwide. Our Central London laptop repair facility is conveniently located at 80 Willow Walk, The Willows, Unit 1, London SE1 5SY, and is open Monday through Saturday between 9:00 am to 6:00 pm. No earlier appointment is compulsory.